PMP® (Project Management Professional) is the most popular and globally accepted certification on Project Management by the PMI®, USA (Project Management Institute). The project management practices updated in PMBOK guide - 6th edition. Sorry, we don’t have any batches available in your city right now. You can try Online Classroom batches. PMP® certification is the most recognized credential for project management across all industries. Globally recognized and in demand, the PMP® certification demonstrates that you have the experience, education and competency to successfully lead and direct projects. The certification is achieved through an exam offered by the Project Management Institute, USA. It indicates a certain level of knowledge and expertise which can help the individual to work proficiently in a given project environment. More and more companies these days believe in the importance of certified PMPs. The most sought after project manager jobs worldwide treat this credential as ‘highly desirable’, ‘an advantage’, ‘preferred’, or ‘A plus’. Organizations complete their projects in time and within budget, if more of their managers are PMP-certified. The PMP credential also increases the professional’s earning potential. Certified PMPs can earn upto 20% more than their non-certified peers, according to Earning Power: Project Management Salary Survey—Ninth Edition. As a PMP, one can talk and walk the international language of project management with utmost professionalism. Besides all these, one can work in almost any industry, with any methodology, based out of any location making PMP® truly universal! Our PMP® Certification training program assists aspiring professionals to achieve success on the PMP® Certification Exam. The training program is conducted by project management practitioners who have successfully managed projects and programs for Fortune 1000 companies. Our faculty will help learners to understand Structured Project Management Methodology from PMI® and empower them to manage projects of various complexity successfully. The program is structured around the 10 knowledge areas covered in PMBOK® Guide (Project Management Body of Knowledge) – 6th Edition. Enables you to clear the PMP® exam on your first attempt. We have a 98% first-time success rate! 100% Money Back Guarantee. Condition apply. This online course is the perfect preparation for Project Managers who want to pass the PMP® Exam. It is designed for busy professionals who don’t have the time to travel, nor sit in a 4-day classroom. This eLearning course optimally prepares learners to pass the exam, as well as the ability to apply the project management knowledge in real life. Note: This course does not include the PMP® Exam. Learners have to register for the PMP® Exam directly at PMI. You’ll receive exact instructions how to do this after completing your purchase. The Project Management Institute (PMI®) offers the Project Management Professional (PMP®) Credential/Certification to qualified Project Managers which encompasses the highest professional and ethical standards within the Project Management Community. The PMP® application can be completed online (at www.pmi.org). The new PMI® online application process allows you to check on your status throughout the credentialing process. The PMP® exam fee is 405 USD for a PMI® member and 555 USD for a non-member. Membership fee for the first year is 129 USD plus a onetime fee of 10 USD, totaling 139 USD. The total fee including membership fee for the first year is 544 USD and for a non-member 555 USD. PMP® stands for Project Management Professional® Certification. This is an exam offered by PMI® (Project Management Institute, USA) for practicing Project Managers. The PMP® Exam is a globally recognized Exam that is well respected in the industry. A Certificate is issued on passing this worldwide recognized designation. There are currently about 300,000 certified PMP®s globally. Through 2020, 1.57 million new Project Management jobs will be created annually around the world, according to PMI's Project Management Talent Gap Report. What Kind of Organization is PMI®? The Project Management Institute was founded in 1969. The goal of the PMI® is continual growth and development of the Project Management discipline. PMI® initiated and implemented the PMP® exam in 1984. PMI® offers four types of services/products.. These are; Project Management Professional®, Project Management Research and Standards, Project Management Professional® Development Programs, and Project Management Publications. What Certification Exams Does PMI® Offer? Among these PMP® Certification is the most popular. This site focuses on PMP® Certification. PMI® provides a handbook for each of the above exams. What Is The Procedure To Get PMP® Certified? The certificate requires that you have at least 4,500 hours of experience in Project Management. Also the candidate should have attended at least 35 Contact Hours of classroom training on Project Management. PMI® explains the eligibility criteria in detail in the PMP® certification handbook on the website PMI.org. Attend the 35 Contact Hours Project Management Training Program. We provide you with an Attendance Certificate which certifies that you have completed 35 Contact Hours of Training – This is one of the prerequisites for the PMP® Exam. (Optional) Apply for your PMI® Membership online through the PMI® website – The Fee Total is $139.00 (Payments accepted through Credit Card). Apply for the PMP® Exam Online through PMI® Website. Complete offline support is provided by us. PMI® will send you an approval email confirming that your application has been approved (please note that it may still go through an audit process). You have a one year window, from the date of approval, to appear for the PMP® Exam. When you are ready to take the Exam, return to the PMI® Website, login with the ID and password provided to you and simply make your online payment. Next is to locate a PROMETRIC CENTER near you. You can go to www.2test.com and find the nearest PROMETRIC CENTER to you. Register which day you would like to appear for the exam, along with the 4 hour time slot. Finally, on Exam day, go to the PROMETRIC CENTER AND TAKE THE EXAM - RESULTS ARE GIVEN IMMEDIATELY AFTER THE EXAM. There are 200 questions out of which 25 are Pre-test Questions. Scoring will be done on only 175 questions. Questions are multiple choice and there is no negative marking. Good Luck! How Many Questions Are There In The Exam? How Much Time Do I Get? The PMP® exam is a computer based exam conducted in Prometric Centers. The exam has 200 multiple choice questions. Each question has exactly one correct answer. You will get 4 hours to answer questions. Most people find 4 hours to be more than sufficient time for the exam. Out of these 200 questions, 25 questions are pretest questions. These are randomly placed throughout the exam and are used for research purposes. These questions are not evaluated while computing exam results. You will only be evaluated on the basis of 175 questions. To pass the PMP® examination, you must answer a minimum of 106 of the 175 scored questions correctly. After you finish and submit the exam, in the Prometric Center you will immediately receive the overall mark-sheet for the exam. Is There Any Negative Marking/Grading Done During The Exam? No, there is no negative marking/grading. Unanswered questions are treated as wrong questions. The Exam is preceded by a 15-minute computer tutorial on the format of the exam. After passing the Exam, you will receive your PMP® certificate by mail within 6-8 weeks. Examination scores are confidential. Our Participants have a 96% pass rate on their first attempt. What is the New Format of the Exam? Effective August 1st 2013, the PMP® exam is based on PMBOK® Guide - 5th Edition. Exam results are divided into six areas. There are no minimum marks in separate areas. Can I View My Exam Results On The PMI® Website? 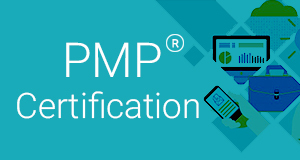 You can view your PMP® credential status on https://www.pmi.org/certapp/default.aspx. You can also view certification status of other individuals on https://www.pmi.org/CertApp/Registry.aspx. How Much Does It Cost To Take The PMP® Exam? The exam costs $405 for PMI® members and $555 for non-members. Since the annual fee for PMI® membership is $129, it makes sense to become a member and then apply for the exam. How Do I Prepare for PMP® Certification? Read one, or more, of the recommended books. Read The PMBOK® Guide - 5th Edition. Read the tutorial on preparepm.com. Take a few mock/simulation exams. Revise sections of the books and PMBOK® Guide - 5th Edition in which you are not scoring well. When you start scoring above 80% in the mock exams, you are ready to visit a Prometric Center for the exam. Sleep well the night before the exam. Try to get 7-8 hours of good sleep. Sounds simple but not always observed by candidates. After you enter the examination room, spend the first few minutes (5-10 mins) writing down key notes and formulas on a rough sheet of paper, before you actually start the exam. These notes can include Earned Value Management (EVM) and other such formulas, list of processes and their inputs, outputs, and tools and techniques. Later in the exam, these notes can act as a great quick reference guide! How Much Time Does It Take To Prepare For The PMP® Certification Exam? The amount of time it will take you to prepare for the PMP® Certification Exam depends on how much experience you have as a Project Manager, your familiarity with PMI®'s terminology, and which books you use to prepare. Sitting for any exam is stressful, time consuming, as well as costly, therefore, give yourself enough time to study so that you feel comfortable. We suggest that you should plan to spend a minimum of 4-8 weeks, preparing for a couple of hours every day, before taking the exam. Great class! The trainer made this experience very enjoyable despite the amount of material to be covered. He showed ample experience and knowledge on the subject. I look forward to seeing him again. Initially, I was hesitant about attending a virtual class. It was a first-time experience for me but I am very impressed with the result. It exceeded my expectation. Great interaction and I really felt like I was in a real classroom. I enjoyed that the class was in-person, at a safe facility, and walk-able distance to shops and food. The instructor was very knowledgeable, enjoyed teaching, and really tried to help us learn the material. I recommend this course. Excellent Course. Instructor was clear and concise and encourage frequent participation from students. Training was virtual but truly felt like a classroom. Would recommend this to anyone preparing for PMP. Very well structured course and very competent instructor. Good Course. The instructor was excellent. I really liked the course was through the book and the slide deck. I feel the class was exam focused which I appreciated. It was very good in preparing me to take the PMP test. This was the first time I took this course and I am not sure what could have been done better as I do not have any other program to compare to. Some of my peers have taken similar ‘refresher’ programs and expressed that this course was by far greater than anything they have attended in the past. Thanks to Redstone and many thanks to my instructor who has been exceptional. His teaching methodology, pace, and consistency are truly professional. His subject matter expertise and materials are very helpful in dissecting the PMBOK 5th edition. Thank you so much. It was a very interesting class. I learned a lot about Project management and the instructor made it easier. I would recommend this course. The course was very educational and insightful. The instructor taught the curriculum in a way that was easy to understand. I thoroughly enjoyed the course and was glad to be able to take it. It gave me so much information and resources to help me pass my exam. Training was relaxed and easy to participate. Topics were to the point so as not to fall behind schedule. There were very helpful tools used to learn and good advice given. I would recommend this course. Instructor brought years of experience into the course. I appreciated his room life, examples he brought to make the course more engaging. The course was informative and well laid out. I would definitely recommend this course to my colleagues, teams and friends. Yes, I would like to receive emails from Tutorial Consulting.